A self-acclaimed YouTuber star Alisha Marie who has earned more than 7 million subscribers over her self-titled channel. This beauty guru and fashionista posts anything from lifestyle, room decoration, fashion, DIY projects, beauty, and lots more. With a decade on YouTube, Alisha ‘s channel has become both a financial and creative success and has high-profile brands to her endorsement credits. Alisha Marie was born on the 5th of April 1993, in Riverside, California, United States of America. She is currently 26 years old. Place of Birth Riverside, California, U.S.
There’s nothing much known about this budding star’s affairs or her past relationships as she is very keen in keeping her personal life discreet from her professional life. She hasn’t starred in any film yet. In 2014, Alisha made a guest appearance in an episode of the talk show The Crew. Alisha Marie has been affiliated with several leading brands like Yahoo, P&G, J.C. Penney, and Cartoon Network. She promotes them through her videos. Alisha has an estimated net worth of $500 thousand US dollars as of 2018. Most of that money comes in the form of YouTube ad revenues and other social media activities. She refers her dedicated fans as Macbabies, which is inspired by her YouTube account name, macbby11. Alisha launched her YouTube channel in the spring of 2008 and it took almost three years for her to upload her first video in January 2011. 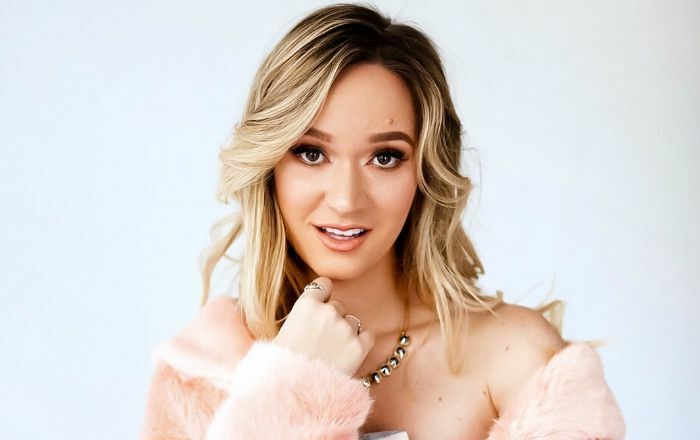 She may be one of the popular and richest YouTube stars as of today, but it took about three years of producing videos and uploading consistently before her channel started generating any income. Her first payment was a 100-dollar check she received through the YouTube Partner Program about two years after she started the channel. She has a Malshi dog which is named Chloe. Alisha says she has a caffeine addiction. She likes following Kylie Jenner on Snapchat. She can’t imagine herself without false lashes. Also, she always has her eyebrows done. Her popular YouTube videos are “FUNNY PRANKS!! ROOMMATE WARS!! Alisha”, “10 ANNOYING THINGS PEOPLE DO!! Alisha Marie” and “Girl STRUGGLES: Back to School!!! Alisha Marie”. The former has garnered more than 28 million views while the latter has each garnered more than 12 million views. She often collaborates with her close friend and fellow YouTube star, Eva Gutowski.